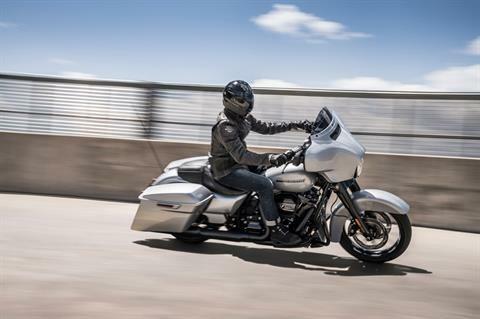 The custom hot rod bagger look stops people in their tracks. 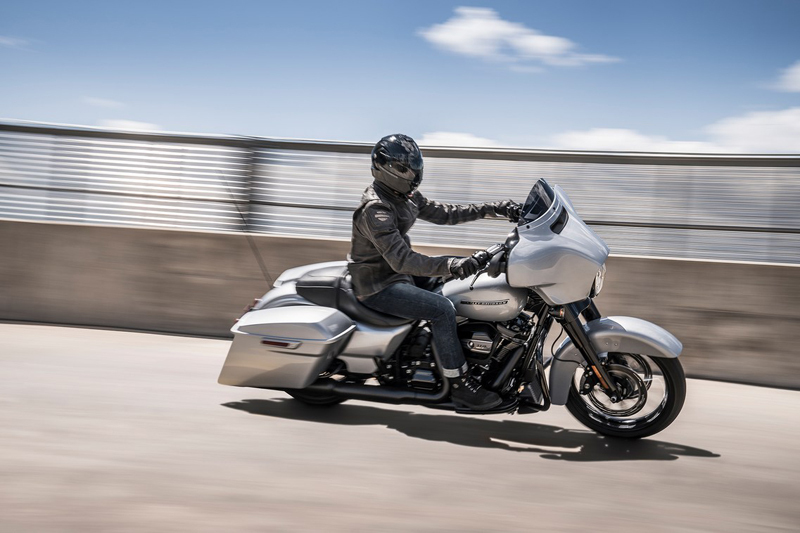 Now powered up with the Milwaukee-Eight® 114 engine, you’ll leave them in your dust. 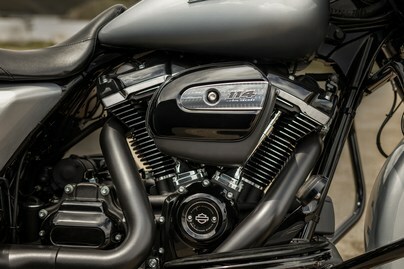 MILWAUKEE-EIGHT® 114 ENGINE: The most displacement in standard H-D® Touring models. You get 114 cubic inches of passing and horizon-chasing power. TALON™ WHEELS: Big, bold black wheels with spokes that extend all the way to the edge of the rim, so you can roll in with style and attitude. 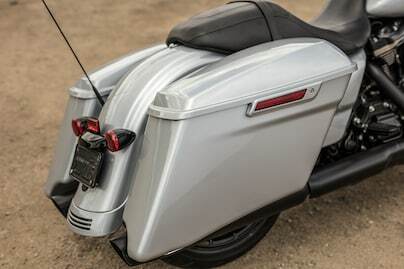 STRETCHED SADDLEBAGS: Designed to accentuate the long and low profile for an iconic, custom look. 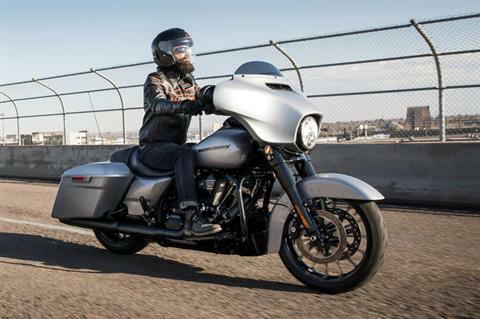 BLACKED-OUT EVERYTHING: Blacked-out front forks, handlebars, tank console and exhaust for an aggressive, modern look. 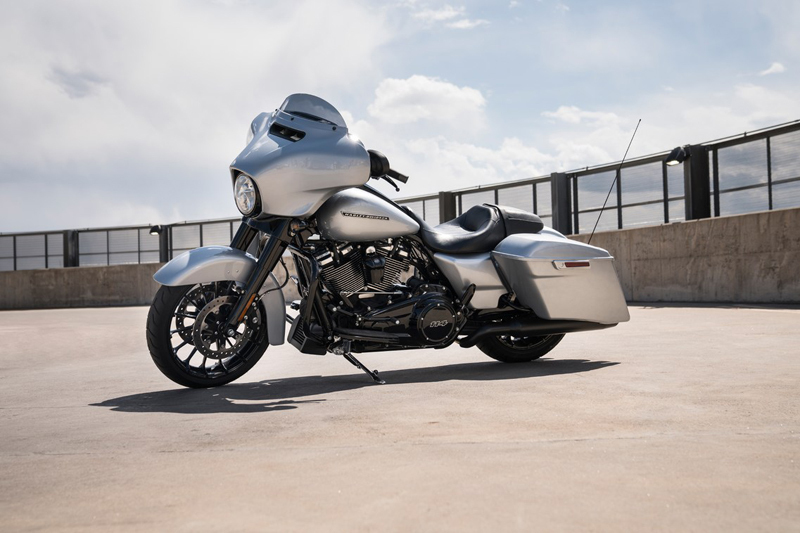 NEW BOOM!™ BOX GTS INFOTAINMENT SYSTEM: A new, evolved interface experience that offers a contemporary look, feel and function of the latest mobile devices and tablets, with exceptional durability and features designed specifically for motorcycling. Every element is optimized to enhance the rider’s interaction with the bike and connectivity with the world. As Shipped - 798 lb. In Running Order - 836 lb. Luggage capacity by volume - 2.5 cu. ft.
Price, if shown, is Manufacturer's Suggested Retail Price (MSRP) and does not include government fees, taxes, dealer freight/preparation, dealer document preparation charges or any finance charges (if applicable). MSRP and/or final actual sales price will vary depending on options or accessories selected.